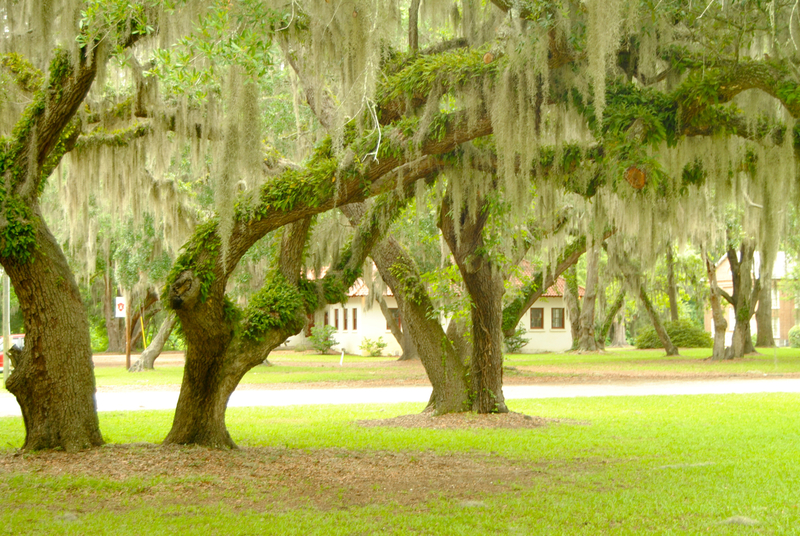 Spanish moss hangs on the trees on Saint Helena Island, South Carolina. We spent the day with Queen Quet on Saint Helena Island, where the only contiguous population of Gullah/Geechee people live. The area is called ‘low country’ since it is technically below sea level. When the moon is full and the tide is high, the water often comes up level with the road. Sea level rise and drought are the major climate change problems that will affect the Gullah/Geechee people, Queen Quet told us. Recorded sea levels at a tidal station in Charleston show over a foot of sea level rise in the last century, and the rate of sea level rise is expected to accelerate as global temperature continues to rise and large ice sheets such as those over Greenland melt. Climate Central projects another 13 inches of sea level rise in South Carolina by 2050. (View their interactive map here.) As for drought, the EPA cites data from the United States Global Change Research Program that annual average temperatures in the Southeast U.S. are projected to increase by between 4 to 9 degrees Fahrenheit by 2080, and rainfall is expected to come in heavier bursts, with longer dry periods between storms. Sea level rise on Saint Helena Island is disturbing coastal ecosystems like this maritime forest. Queen Quet created a buzz when she attended the National Adaptation Forum last April in Denver, Colorado and presented on “Community Equity in Adaptation and Disaster Preparedness” with a similar combination of song, seriousness, and sass as in her speech above. The Queen’s charisma and drive has opened doors for her to represent the Gullah/Geechee at the United Nations Minority Forum, the International Human Rights Association for American Minorities (IHRAAM), and the International Human Rights Commission. She travels about a third of the year. 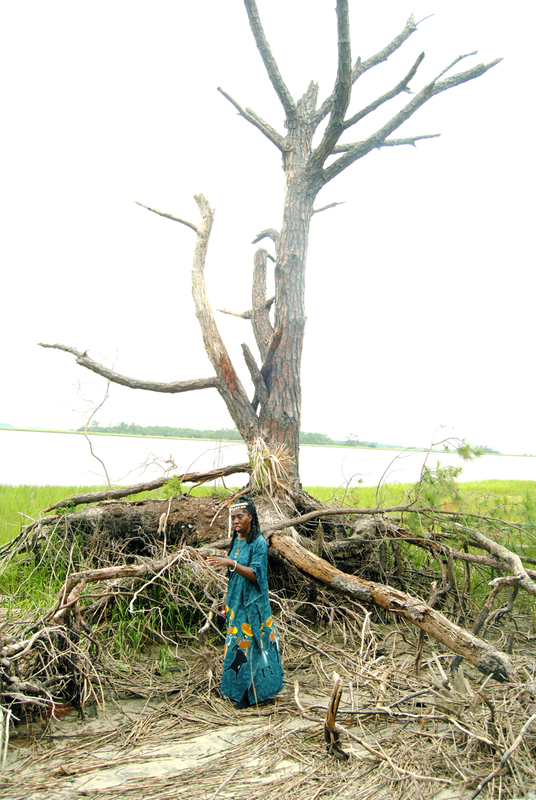 Queen Quet stood in the root structure of a tree to show the severity of tidal erosion. “We watch the ground move every day,” she said. The first Gullah/Geechee people brought to the Carolinas were blacksmiths from Angola whose metal-working skills were in high demand. 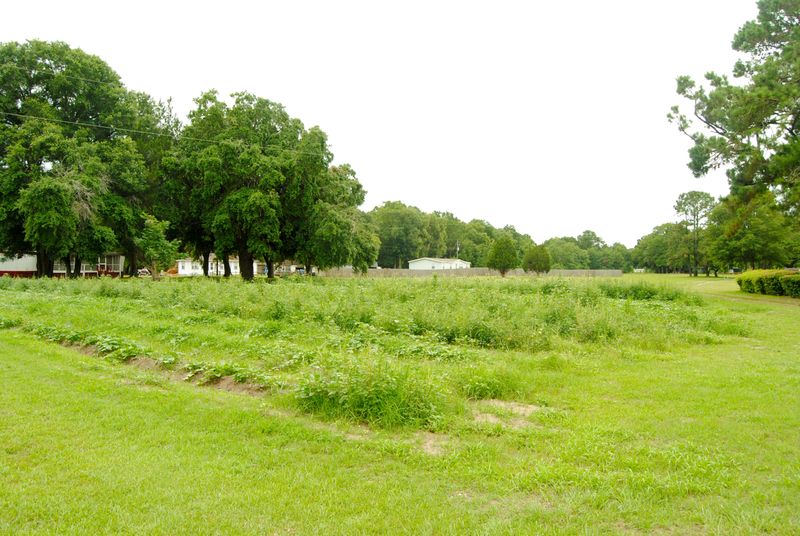 Their tools allowed the land to be cleared and turned into plantations that grew Carolina Gold rice, Sea Island cotton, and indigo—the enslaved Africans themselves were called ‘black gold.’ After the Civil War, the then-government confiscated the land and the Gullah/Geechee had to buy back the properties they were once enslaved on. 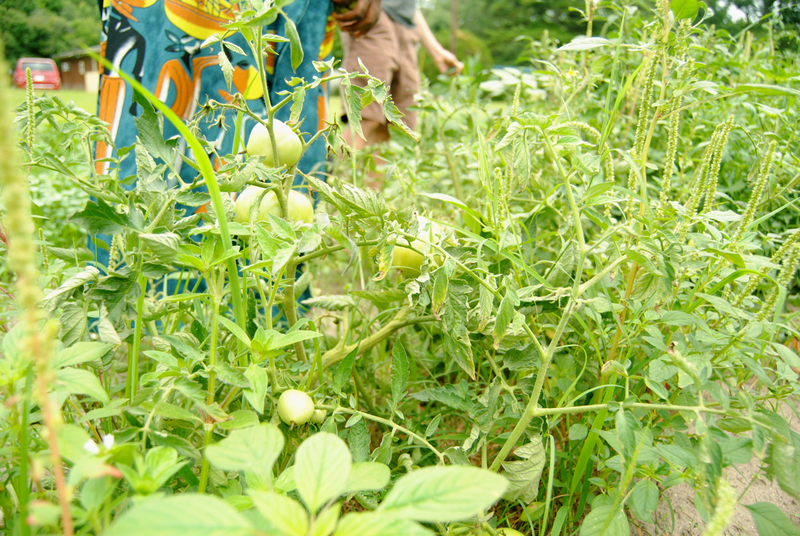 Queen Quet lives on a family compound where her relatives have been farming for generations. Today, the Gullah/Geechee are working to protect Saint Helena from the coastal development that has overrun nearby islands like Hilton Head. In 1999, Beaufort County passed an ordinance that created a Cultural Protection Overlay (CPO) District. The ordinance preserves historical and archaeological sites and disallows gated communities, resorts, and golf courses on Saint Helena. Coastal development is a bit of a foreign concept to the Gullah/Geechee. Queen Quet explained that her African ancestors built their villages inland; going to the water was an important part of their culture. As a Cultural Protection Overlay District, developers cannot build gated communities, resorts, or golf courses on Saint Helena. 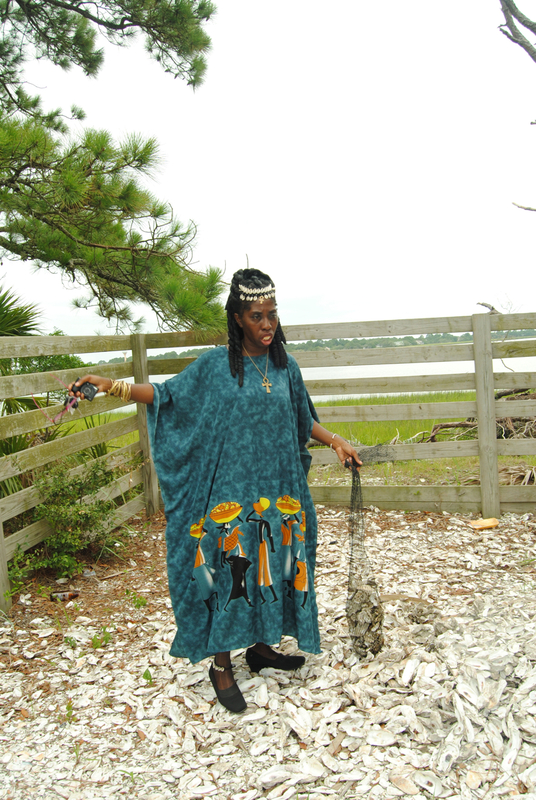 The Gullah/Geechee live in what today’s planners call “open space,” Queen Quet said. Here, she gives a tour of her family compound. 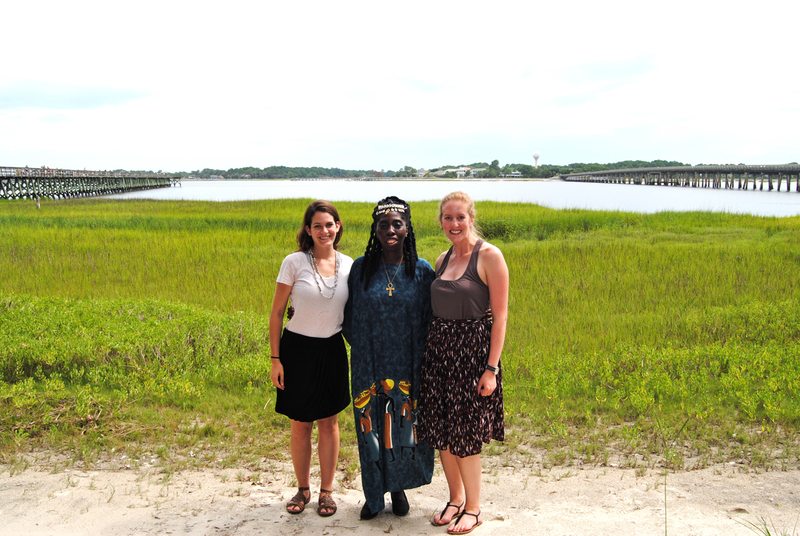 The Gullah/Geechee might seem like a ‘traditional’ culture. Queen Quet still lives on a 10-acre family compound where generations of her relatives have farmed cabbage, watermelon, tomatoes, and cantaloupe on a shared plot. In terms of development, though, the Gullah/Geechee may actually offer a glimpse into the future—a future in which seaside hotels are no longer feasible, and people go to the water again, rather than erecting buildings inches from it. Through the South Carolina Oyster Restoration and Enhancement (SCORE) program, oyster beds are being restored on the coast. The Queen is involved in a different kind of development: rebuilding the oyster beds on Saint Helena through the South Carolina Oyster Restoration and Enhancement (SCORE) project. The Ace Basin Living Shoreline project seeks to reestablish the oyster beds that provide storm protection to Saint Helena, as well as fisheries. Through the project, oyster shells collected in biodegradable bags are placed along the shoreline to provide new habitat. 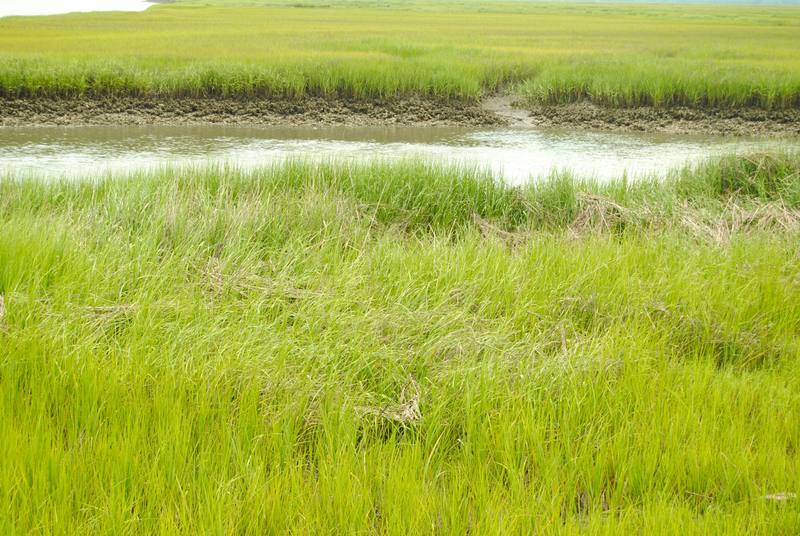 Once a front line of oysters is established, the spartina grass can fill in behind it, recreating the maritime forest that once thrived. Some people look at highly developed areas in coastal South Carolina and assume it is too late for communities to tune themselves to the limitations of natural systems—including a harsher future climate. Queen Quet said that in some places, ‘reclamation’ will mean taking buildings down. She sees an inherent impermanence in seemingly permanent structures. There is a proverb in the Gullah language that says: Da wata bring we. Da wata gwine tek we bak. So Queen Quet doesn’t agree with the ‘it’s too far gone’ attitude when it comes to coastal development. “We have time right now to try to balance things as much as we can,” she said. 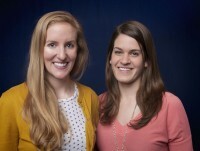 The authors, Allie Goldstein (left) and Kirsten Howard (right), with Queen Quet (center). Great exposé and information from you two…thanks for sharing this roadtrip! soon to be featured on CharlestonGOOD.com – Thanks!! Great story, great to learn that some people still have a true earth first ethic and understand that change is inevitable. Fantastic post. I appreciate you making this tour and reporting to us.